National Treasury briefed the Committee on the proposed extension of the Employment Tax Incentive (ETI). Treasury indicated that it had presented two options: a bare extension for two years or an extension coupled with a cap on claims to R20 million per taxpayer, per year. The design and targeting of the ETI was explained and thereafter the process undertaken to review the performance of the ETI and the results informing the proposal were presented to Members. It was noted that there had been a greater uptake of the ETI than expected and that the sector uptake was concentrated in the financial and business services, retail and wholesale, and agriculture. Independent and commissioned research was included in Treasury’s consideration of the ETI. Noting that the data set available at the time was limited due to the lag in tax data, Treasury stated that there had been a variance in the degree of positive benefits found and limited negative effect had been found. Members generally supported the extension of the ETI, subject to the Committee holding public hearings and receiving further information, particularly the NEDLAC report on the ETI and on the anticipated effect of the R20 million cap. Further, specific concerns included the veracity of the data presented and the inconclusiveness on the impact of the ETI. Treasury indicated that the Learnership Tax Incentive (LTI) was less controversial than the ETI and had already come to an end. It presented the basic premise of the LTI which was to encourage in service skills training. The total claims amount to R2.9 billion, with the wholesale and manufacturing sectors accounting for about 35% of those claims. There had been an increase in the number of registered learnerships from 8500 in 2009 to 116000 in 2012, with later data being incomplete. A Review of the Learnership Tax Incentive had been completed which informed Treasury’s consideration of the proposals. A qualitative survey had also been completed which asked industry to comment on their perceptions of the ETI and LTI. The Review had considered a total of four potential amendments. However, only two proposals were included: extending the LTI to 31 March 2022 and to try to change the quantum of the benefit, focussing it more on the technical skills level. Currently, there was a R30000 deduction for all levels and it was proposed to increase the deduction for NQF levels 1 to 6 to R40000, while decreasing it to R20000 for beyond that. Members again accepted the proposals, subject to the need for public hearings. Here it was noted that due to the involvement of the Sectoral Education and Training Authorities (SETAs) the relevant ones should be invited to comment and the Department of Higher Education and Training should be involved. Specific concerns included whether the people trained under the LTI were retained and the potential for increasing the efficiency of the SETAs’ involvement. Anti-avoidance measures regarding the use of trusts. Here Treasury presented the policy rationale behind the proposed amendment which was to ensure move towards curbing the avoidance of estate duty through schemes involving trusts and interest free loans. The initial proposal was to include the foregone interest in the taxpayer’s taxable income. However, following public hearings the proposal was amended to deem the foregone interest to be a continuing, annual donation. The Committee provisionally accepted the proposal and discussed the nature of vesting and ‘blind’ trusts. Employee Share incentive schemes were another area targeted for anti-avoidance, especially regarding taxpayers receiving dividend income which ought to be remuneration and avoiding section 8C of the Income Tax Act. Here Treasury had initially proposed including any pre-vesting payments related to restricted equity instruments in taxpayers’ remuneration income and specifically allowing a deduction for the historical costs incurred by the employer in issuing the restricted equity instrument. Following public hearings, Treasury conceded the practical difficulties in the proposed amendments and proposed targeting the specific avoidance of pre-vesting dividends stripping and leaving the deduction to the general deductions available. The Committee provisionally accepted this proposal. Treasury stated that due to an oversight personal liability companies had been excluded from the small business tax regime. The initial proposal was to make the provision retrospective to 2013, but following public hearings it was accepted that this ought to be taken back to 2011 when the anomaly arose. Further matters covered included the tax treatment of long term insurers due to the introduction of SAM, the extension of the deduction allowed to mining companies for expenditure related to social and labour plans, amendments to hybrid debt rules, and the venture capital company regime. The Committee generally, provisionally accepted what Treasury had proposed. The South African Revenue Service (SARS) indicated that there had been concern about amendments to the period allowed for the claiming of input VAT. It was clarified that all that was being done was to reintroduce the wording as it had been since the inception of VAT. This was because the current provision did not allow prescription to run in the case that a person had not submitted a return. Several amendments regarding the Tax Ombud were discussed, including specifically stating that the staff of the Tax Ombud were appointed by the Ombud, in terms of the SARS Act. Discussion was had around the requirement that parties to a Ombud’s recommendation indicate within 30 days whether they agree. Members were concerned about the lack of a consequence for non-compliance, but accepted that this was intended to be an administrative requirement. Other aspects of the Bill were discussed including the amendments to the Customs and Excise Act regarding the maximum weight per 1000 cigarettes and filing period for mineral and petroleum resources royalties returns. The Committee agreed with the Chairperson’s proposal that Treasury needs to give a more thorough briefing on the proposed sugar tax and that public hearings need to be held. Treasury clarified that the proposal could be effected through regulation, subject to parliamentary approval. Also, that aspects of the Customs and Excise Act may need to be amended. The Chairperson noted that REDISA had approached the courts regarding the environmental levy on tyres. He noted that the Committee would have to balance continuing with the amendments and being mindful of falling foul of a court decision. The Committee therefore mandated him to liaise with the Minister’s involved and to determine their position going forward. The Committee then considered its Draft Programming, noting that it would have to hold public hearings on the ETI and LTI after the Mid Term Budget Proposal Speech cycle. Further, it considered the procedure for handling the concerns raised by Mr D Maynier (DA) regarding the procedure around the SARS Commissioner’s handling of allegations of irregularities levelled at a senior SARS official by the Financial Intelligence Centre. It was decided that the meeting should be open and that the letter written by Mr Maynier should be distributed. Further, the Chairperson would continue to correspond with the head of the Financial Intelligence Centre regarding Mr Maynier’s questions. The Chairperson said the draft Fourth Term Programme had been sent to Members, based on the last meeting where it was discussed, but that could be dealt with later as matters will arise over the course of the meeting. Towards the end of the meeting he would put this matter onto the agenda. Basically, this was a workshop situation and no decisions were being taken. There were two sets of documents: one from the Department and one from Mr Tsanga Mukumba, Research Consultant to the Committee. The Committee had agreed that as it does not have support staff he would assist the Committee. He suggested that when each issue came up Mr Mukumba could point out what he had done, so that the Committee has an opinion that is different from National Treasury’s (Treasury or NT) making the consideration more balanced. Secondly, National Treasury had indicated that there was another batch of amendments regarding the Employment Tax Incentive (ETI) and Learnership Tax Incentive (LTI). The Committee should hear what was being presented and decide whether public hearings are necessary. NT had alerted the Committee to these amendments and would have to determine how to proceed. However, despite Treasury being in possession of the Committee’s programme it did not state that Members may want to consider public hearings on the LTI and ETI. Had this been indicated, the Committee would have made allowance in its schedule. Secondly, NT must indicate the gravity of the amendments and if nothing was done would the world come to an end? Mr S Buthelezi (ANC) said there are reasons why Members were dealing with the ETI, but he did not know the involvement the Department of Labour (DOL) as far as the effect of the incentive. The same would apply with the Department of Higher Education and Training (DHET) and the LTI. Perhaps the Committee needs to understand what has happened, before it looks to extend the incentives. Mr A Lees (DA) said there should be a dedicated session for the ETI and LTI, whether there need to be public hearings or not is a decision which should be made. However, the matter is of such a nature that Members have to consider it carefully. The Chairperson said the Committee should hear what NT has to say and as there was no time allocation, the dedicated session could be done presently, if Members feel it is important enough. It could also certainly be returned to. Mr Cecil Morden, Chief Executive: Economic Tax Analysis National Treasury, said during the Budget it was announced that NT will look at a review of the LTI and ETI, because they come to an end during the course of 2016. The LTI had already ended in September and the ETI would end in December. These were not included in the first batch of the TLAB, because unfortunately the review was not completed. Ms Katherine Macleod, Director: Demand Analysis National Treasury, touching on what was raised, said the reason the amendments were being put forward, was that NT was tasked with reviewing the incentive ahead of the sunset clause. The ETI would expire on 31 December 2016. When NT was trying to review the ETI, it was felt that there must be enough data to be able to look into it. The tax data had not been used before to do detailed analysis and this data comes with a long lag of more than a year with the detailed submission only coming in May. It also took a while for the data to be cleaned and NT had to consult with social partners. The consultation process was started in July and it had been productive, with over 5 meetings where research had been shared, both by NT and independent researchers. Some qualitative work has also been done with information put forward from business. So although the timeframes have been short there has been a lot of engagement and work. The report which NEDLAC is working on was to be presented to the Committee soon. So NT in reviewing the ETI tried to take into account the views of as many social partners as possible and as much evidence as possible. Ms Macleod said NT had put two options forward for the amendment. One was a simple two year extension of the ETI and the other to place a cap on the amount of claims at R20 million. Ms Macleod said the ETI has been caucused in government and the DOL was represented in the government task team, as were the Department of Trade and Industry and Department of Economic Development. These Departments have been worked with closely in thinking of ways to improve the efficacy of the ETI. Ms Macleod said the ETI was introduced in 2013 to try to improve the employment prospects for young workers, by sharing the cost of hiring between employers and government. It is important to note that the ETI is only one element of what government needs to do to tackle to the challenge of youth unemployment. There was an unemployment rate for young workers at more than 50% and government needs to do what it can to improve this. The ETI is meant to work with existing programmes such as the FET colleges, SETAs and job funds, but would not by itself be able to solve the problem of youth unemployment. Ms Macleod said some of the key research questions prompted by the review of the ETI include: what kind of jobs were supported; which jobs are being created; which sectors and types of firms are claiming the ETI; what is the nature of the jobs the ETI is supporting; and whether there are any negative effects. One matter which the Committee was particularly concerned with was whether there could be displacement of older workers, wage suppression or a decrease in the quality of the jobs. Due to the tax data lags, there was only detailed data for the 2014/15 tax year and this is what the quantitative assessments were based on. This was going through the individual employee tax certificate submissions and understanding what types of workers the ETI was being claimed for, what sectors they work in and how much they earned. Then trying to supplement this with qualitative research conducted through a survey of key employers and research put forward by business. Ms Macleod said the current design was that the ETI was for individuals 18 to 29 years old, who earn a maximum of R6000 a month, must earn the stipulated minimum wages. All the employers who apply for it must be registered for Pay As You Earn (PAYE), tax compliant and in the private sector. The value of this incentive changes based on the monthly income which the person is earning and can be claimed at a maximum of R1000 per worker per month. It is claimed by offsetting PAYE payments to be made to the South African Revenue Service (SARS) and there is a refund mechanism for employers with insufficient PAYE claims. Special economic zones (SEZ) could also claim the ETI, with no age limitation. However, because no SEZs were designated in the time there was no evidence on this. The ETI was targeted at formal sector employers and new jobs, because it could only be claimed for workers hired after 1 October 2013 and could only be claimed for 2 years per worker. Abuse was to be prevented by requiring the jobs to pay minimum wages, also by applying penalties to employers who displaced workers in order to claim the ETI and allowing the Minister of Finance to disqualify such employers. Ms Macleod said the general review has shown that the take up of the ETI has exceeded initial estimates at just over R6 billion between January 2013 and March 2016. The estimate was that this would be at R1 billion worth per year. It is being claimed for about 646000 workers, which is more than was estimated. So it has reached many more workers. About 45700 employers have claimed the ETI and the definition of employer includes a payroll centre claimant, which may be different from the Statistics South Africa definition. NT used the PAYE data and so everyone who has an IRP5 form which indicates the employer firm, what sector it operates in, whether the ETI was claimed against their employment, the person’s age and the length of time they had worked for that employer. The 645973 workers who the ETI was claimed for in the 2014/15 is about 17% of all the 18 to 29 year olds and makes up about 5% of all jobs in the PAYE database. The take up is the largest for the workers earning between R2000 and R4000 a month, which is also the salary bracket where employers get to claim the full R1000. Ms Macleod spoke to a table in the presentation depicting claims by sector. The sectors which claimed the most were financial and business services, wholesale and retail and agriculture. What is interesting is that manufacturing has the largest number of employers claiming, with 7448 firms claiming the ETI. Claims by small firms, with less than 50 employees, are particularly high in manufacturing and financial and business services. These are relatively small employers which really expand employment. She noted that the figures on the take up of the ETI are a function of the nature of youth employment in sectors and whether they tend to employ these types of young, unskilled workers. Further, the numbers employed in the various sectors generally. NT found nothing which really stood out as a misalignment. Ms Macleod said a fair amount of econometric work had been done, trying to understand the impact of the ETI. It is simple to understand how many jobs are supported, which category of workers, but it is more difficult to determine the impact on the creation of employment. There you have to determine the effect of the economy and whether firms would be shedding jobs, meaning that the ETI may be securing jobs. Alternatively, it could be being taken up by firms which would have employed the people regardless. Different econometric techniques were used to figure out the underlying trend and what the effect of the ETI was, holding constant different things like what is happening in the sector, the economy and employment generally. Prof Neil Rankin from the University of Stellenbosch worked with NT on the tax data and had done a range of different specifications to try and hold these trends constant. He found that there is a positive effect on employment at a firm level of between 2.4 and 15.9% growth in youth employment. These positive effects are particularly pronounced for smaller employers. What is interesting is that even looking at a range of different techniques there is a similar result, which suggests a positive effect. He also checked what happened to wages and found that there has been a fairly positive effect. Further, older workers are not being displaced, although there has been a slight indication of this. Prof Ranchhod and Prof Rankin used the Quarterly Labour Survey to try and determine the effect of the ETI in 2014. They do not find that the ETI has affected national unemployment rates for young workers, although this is not necessarily that surprising given the scale of youth unemployment. Prof Bhorat has suggested that the Quarterly Labour Survey may not be the right tool to use to determine the effect of the ETI. Ms Macleod said there had been independent research done using the SARS tax data and Southern Africa Labour – Development Research Unit found a positive impact in firms with fewer than 200 workers, but larger than that the positive effect is not significant. Further, in concurrence with Prof Ranchhod, that there has not been economy wide impact. Ms Itumeleng Magketla found no impact on hiring across firms as a result of the ETI. Qualitative work commissioned by business, by Ms Carmel Marock, found that employers indicated the ETI was a effective tool for job creation and helped them retain jobs in economic downturns. Businesses felt it encouraged tax compliance and liked the link between the ETI and LTI. Particularly, larger employers felt they would be able to retain workers after the 24 months had expired. Ms Macleod said Treasury’s own qualitative work found that 56% of the firms claiming the ETI positively impacted on hiring. Looking at firms claiming both the ETI and LTI this number rises to 69%. The impact however is lower when claims are automated or targeted employees already form part of the existing workforce. Ms Macleod said Prof Bhorat provided a summary for NEDLAC, which would be presented to the Committee. He found that the ETI compares favourably with other government initiatives on a cost per job basis. Further, little evidence of widespread negative effects from the ETI and that the displacement of older workers was quantitatively small and only at the margin. His main recommendation to NEDLAC was to continue with the ETI policy and was cautiously positive. All the research presented to NEDLAC would be made available to the Committee once the report is finalised. Ms Macleod said the two options put forward were to simply extent the ETI or to extend and impose a monetary cap on the amount which could be claimed. The thinking behind these two proposals came from NT’s consultations in NEDLAC and Treasury was taking forward the options from NEDLAC stakeholders. On extension of the ETI, the sunset date is 31 December 2016 and as a new policy tool, the data so far is indicating that it has had a positive impact. The negative impact which was feared has not appeared, but there is still a lot of data which Treasury does not have. NT does not know what happened to the employment prospects of the people who got the jobs with the aid of the ETI. That will not be known for at least another two years, where NT can analyse the tax data to understand what happened to their employment. NT thinks that an extension for two more years will aid in gathering more data, continue the consultation process and with relatively low risk. Further, some adjustments have been put forward to clean up the definitional and administrative provisions. Ms Macleod said the second option of the monetary cap per employer, per tax year is intended to improve the targeting of the incentive. The greater impact has been noticed with the smaller employers and as the firms get larger the results get very mixed. The idea of putting a cap on the claim is to reduce the risk of a redundancy cost. NT does not want firms to be claiming the ETI for jobs that were going to be created regardless. The ETI has been designed to be very administratively simple, which may be one of the reasons why small firms are taking up the incentives, but NT also wants to ensure the targeting is working. In trying to balance these two, the proposal of the cap has been put forward in the context of more limited fiscal space than three years ago. This cap only deals with monetary value and not number of employers, because there should be flexibility on how they want to distribute the incentive. Importantly, that exclusion is given to payroll centres, because these administer the ETI and they are not necessarily the same as firms. The key is how to balance effectiveness and efficiency, NT does not want to impeded the positive impact of the ETI with a cap that is too low, because large employers support the most jobs in South Africa. Large employers, a few firms, tend to employ a lot of people and these should not be excluded. On the other hand the cap should not be too high, because this could allow fiscal risk. The cap was put into the legislation to get public comment. For the 2014/15 year, at about a R20 million cap there would be eight payroll centres that would be claiming at or above the limit and those total claims come up to about R450 million, supporting just under 100000 jobs. The average claim being made at that limit per worker is about R4832 and on average they are claiming R4600 per worker. Ms Macleod said the process of stakeholder engagement was one of the reasons NT was coming with these proposals so late, because it had tried to consult them on the research, get their thoughts and as much information as possible. The initial indication of the discussions at NEDLAC had seen a difference of opinion in the labour constituency around support of the ETI. FEDUSA and NACTU supported the proposal to extend the ETI for two years, because the extension makes sense and allows the gathering of more data, especially with very little negative impact from the ETI. Differing from COSATU, they felt that the temporary and labour broking issues were captured by the amends to the Labour Relations Act, which limit the potential influence of labour brokers. COSATU opposed the extension of the ETI, because they felt that labour brokers were an issue and were worried about temporary employment. Business supported the extension of the ETI. There was no support for the cap from either FEDUSA or business. Ms T Tobias (ANC) asked whether the Prof Bhorat mentioned was the one who used to be at Rhodes University. Ms Macleod said she was unsure, but he was currently at the University of Cape Town (UCT). Mr Buthelezi said he did not think so, because he had always been at UCT. Ms Tobias said the Committee is standing on one leg, until it has the research documents presented to it. South Africa is facing 50% unemployment of young people and the ANC Youth League has put it forward that this should be eliminated altogether. The trouble facing the Committee is that on one hand there will be the trade union movement saying they are for permanent employment, but on the other hand the ETI is trying to incentivise private firms to create employment; meaning there is going to be a difference of opinion. The Committee will have to decide where it stands there. Secondly, on the analysis of the stats which show which sectors have created employment. The graph showed that the agricultural and tourism sectors have created a significant amount of employment. Knowing the agricultural sector, this is seasonal employment, this is where COSATU’s argument is going to hold water. If a significant amount of the incentive goes to a sector which does not have permanent employment, it is going to be a challenge. A further, challenge is the rate at which the jobs for which the ETI is being claimed pay, because if they pay R1000 a month then this is a problem. Having many people employed who are being underpaid does not have an impact. Members also need to know whether these are new jobs or the same people being employed over and over again, to access the ETI. For her, how jobs qualify for the ETI needed to be tightened up and should be for people who have created jobs which pay more than R7000 per month. Government has lowered the bar itself. It is not about the simplicity of the administration, because if a person who pays R1000 can apply then there will obviously be a large uptake. So the ETI has been made vulnerable in the way it has been structured. NT had also indicated that the SEZs should be included, but she thought that the SEZs were part of the Industrial Development Plan of the Department of Trade and Industry. Government has invested in these, so why should it give money to itself. Lastly, what is the redundancy cost? To her this was because the bar has been lowered to R1000, but this was not a living wage. The bar should be raised and it should start from R4000 to R7000. Mr Lees said the information so far indicates that there has been a positive impact on job creation, but more research is being undertaken and that may or may not firm up what is there at present. On the R20 million cap, the presentation indicates that there are eight firms claiming at or above this level. Was it being suggested that if the cap was imposed there would be 97767 jobs fewer created? What would the impact on job creation have been if the cap was imposed in 2014/15? He noted that Mr D Maynier (DA) had absented himself, because the Minister of Finance had been served a warrant of arrest. The Chairperson said for the record, that he was not in any meeting which had discussed the matter and had found out himself as he had walked into the meeting. National Treasury’s Parliamentary Liaison had come to him regarding a matter which the Minister was to respond to, the Mr Jonas Mkwakwa case, because there are legal and other issues, which has nothing to do with this matter. Since it has been announced and affects the Committee, although it really is a matter for the Portfolio Committee on Justice and Correctional Services as the National Prosecuting Authority reports there, four people have been charged: Pravin Gordhan, Ivan Pillay, Oupa Magashula and a fourth. Mr Buthelezi said he appreciated that fact that this was a new initiative and there would be lags in the statistical data on the impact. In NT’s presentation, it was indicated that there has been engagement with business and other social partners. Could these social partners be disaggregated and these statements should be made with care, as it may be perceived as bias. It is clear that as things stand the impact of ETI on employment is inconclusive, because there are aspects which are positive and those that are negative. With this information, he would like to know if it is known why there is a positive impact on employment in smaller firms than larger firms. Further, were there any suggestions of how to improve, because the aim is for statistically significant impact. The ETI had been curbed to two years and did NT know what happened to the people who were subsidised. Further, what was the initial expectation? Lastly, has there been any evidence of the abuse of the ETI, if so what is the nature of the abuse and what are the measures to address this? Dr M Khoza (ANC) said the principle of the ETI is positive, but what are the assumptions which underpinned the initial estimate of R1 billion’s worth of uptake? Those assumptions would have had indicators of how the ETI would be determined to be working or not. To her if the estimate was R1 billion and there is this huge jump, then something was probably wrong with the assumptions to start with. Going forward, will these assumptions be corrected? She agreed that to get proper data, another period was necessary to have a sizable sample to work from. However, the known impact of the ETI seems to be very different looking at the contrast in results between Prof Rankin and Prof Ranchhod. How are these two statements to be reconciled? Was this due to differences in sample data or their methodologies? She was concerned that there has not been a good uptake from smaller businesses, because the people who create the day to day jobs are small businesses. With big businesses, you may find that they would have employed the people anyway and there may be abuses, such limiting employment to those two years. Mr Lees had asked a question on capping and she wanted to know the implications of the cap on the primary objective of the ETI? Will it not end up nullifying the intended effect? Especially, looking at the total accumulated ETI claims in jobs by firm for the firms in this category there are 92767 jobs. This is a good principle and with the low growth track, government needs to be giving employment incentives. The Chairperson on process, reminded the Committee that when it was dealing with the Revenue Laws Amendment Bill at the end of 2015, COSATU argued the Committee had no right to proceed until the NEDLAC report was considered. However, after Parliamentary Legal Advisors got involved it was learnt that this was not a precondition to passing the Bill. He asked when the NEDLAC report would be ready? Ms Macleod said it ought to be complete by the end of that week. The Chairperson said the Committee would like to see it before it votes on the Bill. Is it the case and if so to what extent, does NT have an explicit goal to support small businesses through the ETI? What percentage of the firms are classically small businesses? COSATU from what Treasury was saying, was bringing in the labour broker issue into this matter. That was being addressed in a separate dispensation, through the Labour Relations Act. Was it correct that this was being brought in here and what was Treasury’s response to that? The Committee will have to determine to what extent the efforts against labour brokers will be impeded by extending it for two years. Ms Gloria Mnguni, Finance Analyst Parliamentary Budget Office, said given that the findings of the Review were rather inconclusive as to job creation and the Review intended further work to be done, were there specific projects underway? She was of the view that the research was late, but at least on a qualitative level to look at matters like job creation. Had NT looked at the potential for the cap to backfire, given the concentration of uptake of the ETI in specific sectors. Further, was NT looking at creative ways to encourage other sectors to take up the ETI? With the noted positive impact on job creation at firm level, has this been interrogated as being due to firm strategy, rather than as an impact of the ETI? The possibility of abuse has been noted, but how would Treasury detect this? The Review indicates that in cleaning the tax data people under 15 and over 65 were not considered, but she could not see why as the ETI only covers people between 18 and 29. On displacement of older workers, how is NT going to look at whether that is indeed happening and would the data be reliable, as she would assume this would be information from the employers. Ms Tobias said youth is characterised as people between the ages of 18 to 35, so that category is being left out. This will affect the statistics of 50% unemployed youth, because a significant portion is not being included under the ETI. Mr Tsanga Mukumba, Volunteer Research Assistant to the Committee, asked whether Treasury had an estimate of the deadweight loss since the inception of the ETI. Secondly, it was indicated that this had a good cost per job in comparison to other government youth employment initiatives and could examples be provided. With the R20 million cap, it was indicated that much of this would affect payroll centres and could an example of how payroll centres work and whether these are a collection of claims of individual firms making use of the payroll centre. Lastly, with the negative effects, was it really possible to determine this using statistics and would it not be better to do asses this using input from the industry? Ms Macleod said the engagement process was with NEDLAC and there were the two chambers: the public finance chamber and the labour chamber. NT’s social partners were labour and business. She had not said that NT had consulted business, it had asked everyone to present evidence and business had presented evidence in the form of a report. That was the only context in which business was slightly different to the unions, all the social partners are considered equally important. There were several questions around the evidence on the ETI and how exactly it is being measured. Both qualitative and quantitative research have positives and negatives, which is why you use both. Qualitative research is good for answering questions about why firms are doing what they are doing, but of course they may give answers which are different to how they act and that is where quantitative data is used to try and get an objective view. So from NT’s perspective it is important to look at both types of evidence and in the broad categories of quantitative and qualitative research a few pieces of research should be considered. It would be surprising if all the research said the same things, because then people’s methods are not different enough. Then what needs to be done is to think about the value of what is being presented and what is the methodology. The difference between the Prof Ranchhod and Prof Rankin research is that Ranchhod is looking at the economy wide numbers of young people who are unemployed and whether the ETI has changed this. While, Prof Rankin looked at whether, at the level of an individual firm, behaviour has changed before and after the ETI. So different results can be gotten if the firms making use of the ETI are not employing enough people to affect the aggregate unemployment level. There are just over 645000 young people with jobs claiming the ETI and it is important to distinguish between jobs supported and jobs created. To get number of jobs created, it could be that a firm was shedding employment and was going to fire 100 workers, but only fired 50 because of the ETI, that would be 50 jobs created or rather not lost, due to the ETI. However, if a firm was going to employ 100 people regardless of the ETI and claims for them, then that would be 0 jobs created. To quantify that difference between a supported job and created job is very difficult. With the qualitative work, it is found that employers agree that the ETI creates jobs with just over half saying jobs were created. The statistics try to determine the trend and what was different. So different ways of calculating the trend must be used to get a sense of whether it is reliable. Prof Rankin took a certain type of firm and checked what was happening. Then he looked at what happens with one individual firm and check how it behaved before and after the ETI. Another way of doing it would be to pick “twin” firms and test the differences where one took up the ETI and the other did not. That same method for jobs created was used to try to determine whether there had been displacement. All of this is complicated by one of the most critical employment factors, being education, which is not accessible through the tax data. The only way this could be controlled for was with the amounts people earned, so under R6000 and the people who recently left the age of eligibility, 30 to 35, to see what the trend was and how it differed. There the same methodology was used, looking at different sets of employees. There little negative impact was found, with -1% using one of the methodologies. Dr Khoza said she was unsure whether this was complicating the quantification, although the methodology described were fine, but the concern was specific to the expectation that in the ETI context. To determine a trend one would probably have to look at three or even five years of data, looking at specific firms. She was not sure why this was being made so difficult. Ms Macleod said this has been done and these were the trends being spoken to. One of the points raised about the research was that the Labour Relations Amendment Act came into force and that may have affected the trend, over the effect of the ETI. The point was whether the trend captures the reality and that was where the question mark was, requiring the different methods. Ms Tobias said if she understood Dr Khoza correctly, she was concerned about the manner of the research being more technical and not underscoring the political objectives of what needs to be achieved by the ETI. For example, when specific categories of employment created it is for a reason. A firm could employ 50 tea makers, pay them R1000 and claim to have created employment. However, the objective of quality employment and addressing poverty may not have been achieved. When the trends are measured, the chances should not be missed to look at these people’s skill levels and the level of their employment. So that when Members say the ETI has impact they can extrapolate the necessary information. This is why she had mentioned the need for quality work earlier, because if the numbers were the only thing focused on it may be found that there are numbers without any true substance to the jobs. Mr Morden said from the reports which Ms Macleod has summarised, both qualitative and quantitative have been done. What NT has picked up is that the response from business has been positive, but obviously they would like to keep it. So Treasury tried to drill a bit deeper and would appeal to the Committee, that it look at the results and try to digest them. One of the reasons for the extension is to get more data, but on average Treasury is of the view that the impact has been positive and is not as inconclusive as some have suggested. Given the scope and nature of the unemployment challenges faced among the youth it is important that the ETI is seen as part of the package of measures. The ETI has been a bit more costly than expected, but Treasury feels it is measureable. On redundancy cost or deadweight loss, these terms are slightly different technically, but people use them interchangeably. With any incentive it is very difficult to draw a distinction between what is new and what is additional. The incentive could be very harsh and require that it be additional, but then the test is very severe, which complicates the administration and compromises the uptake. So a balance has to be struck between a complicated system which goes for additionality, but discourages uptake and complicates administration versus a system which is more generous. Dr Khoza said she was cautious about the remark that the amendments to the Labour Relations Act would have had an effect on the data, because those type of things could be quantified. However, she agreed that the incentives should not be an administrative burden, especially for small business. It is a fair comment that government also wants small business to come to the party. Mr Lees asked for the effect of the imposition of a cap in the 2014/15 year would have been. Ms Macleod said this comes down to whether one thinks the ETI had a positive effect or not. If you believe it was positive, then those about 90000 jobs would have been lost or not created without the ETI. Treasury cannot say whether those people employed through the ETI would have been fired, because the dynamics within the firm are unknown. Perhaps the people hired were so great that they are retained, but it may have an effect on additional hiring in the future. So there is a lot of uncertainty around that. The 92767 in the table was the number of claims by firms in the over R20 million bracket, if the cap was imposed then the eight firms would in total be able to claim for 13000 jobs and the others would be affected. So they would not be able to claim for 80000. Dr Khoza asked what the impact of this would be and would these firms still be interested in participating in the ETI. Ms Macleod said they would only be able to participate for the 13000 if they are claiming the maximum of R1000 per month, but it may be slightly less if there are people earning less. Dr Khoza said that is quite drastic and she would imagine the impact would be negative. Ms Macleod said there has been a lot of feedback from business, which feels the cap will be a problem. Dr Khoza said the reason she thinks there will be a problem is that if the intention is to have credible data over the next two years, the factors which existed in the past should not be too different, because this will impact the outcomes of the data and the report which Treasury would be presenting. Mr Morden on the level of the wages, said the minimum wage as agreed by the various sectors are applicable and if the pay is less than that then the ETI would not be available. So government is covered in that respect. The Chairperson said not all the questions had been answered, but for a first feel this was fine. He asked whether the ETI would collapse if the amendments were not passed. The Chairperson said then the Committee really has no choice, given the importance of creating jobs. On the other hand, the Committee needs more time and asked for Member’s suggestions on a way forward and what issues are to be pursued further. So far Members have asked for more information, so the Committee should have the background research information. Dr Khoza said a policy like this always has a context and it could not be divorced from the prevailing conditions at the time. If the Committee did not support the ETI it may not have an effect, but her sense was that Members do not want to be attracting negative public attention when something like this is there. Members have the responsibility to say to the voters, that they are doing their best to support employment. So she did not think at this point there was an option of whether to support it or not. It must be supported, but of course the other modalities could still be investigated around ensuring the data at the end of the period is better than what was had at present. Mr Buthelezi said Members had the option to say, if the ETI does not work we should not continue with it. He did not think anyone could object to that. However, he did not think that was where we were and the import of the issues raised was to continue looking into the ETI towards its improvement. Members have pointed to some of the risks and Treasury should work on these. This is a work in progress and social policy is not natural science and these uncertainties will always be present. Treasury should continue looking into the areas which Members have raised and would like to see a better impact of the ETI. Ms Tobias said in her background dealing with the Department of Trade and Industry she had seen a lot of incentives and here government was putting a Rand where business put a Rand. Government wants to see the impact of that Rand and should say it’s is more valuable than businesses. She did not want to have many menial positions, when government was concerned about making jobs for unemployed graduates. Government may find itself in the position that it has to budget even more money for the ETI, because going forward there was the category of people aged between 30 and 35 who still need to be accommodated. Tax incentives are not meant to be long term, they are supposed to encourage certain things in society. This is to encourage the private sector to create employment, up until the point where South Africa gets its skills base right, where employment incentives will not be necessary. She felt the model selected was good, because government only puts in funds when private sector has paid people. However, this should not be abused and the private sector must deliver. A good job had been done and she supported the ETI. The Chairperson said Members were all on the same page and the Committee would support the ETI, but this would be with the qualifications Members have set out. These would be noted in the Committee’s report to Parliament. While the reasons for bringing it late were understood, it was not fair to Parliament, because it was too much, looking at the number of issues the Committee had to deal with. He had written to the Minister about this, because it cannot manage the programme until it has more support staff. He strongly recommended going ahead with public hearings and unless this was opposed, then the Committee’s programme should be altered. Dr Khoza said she had come across the managing director of Addis, which manufactured household goods, and he had complained bitterly that government policies were not encouraging its continued operations. For those type of household goods, Chinese imports are allowed into the country and even if the ETI is there they do nothing, because the market is being killed. So basically, when dealing with incentives Members must keep in mind that it is not only about creating employment, but also about ensuring businesses are in a space which makes sense for them to operate. The Chairperson said that was a matter which Treasury should come back to the Committee on and which the Committee support staff should ensure the Committee follows up on. Mr Morden said this incentive is a little bit less controversial than the ETI and there is more consensus on its positive effect. The LTI came to an end in September 2016 and has been extended on two previous occasions. The objective is to develop skills by reducing the cost of training for employers and at the same time encouraging job creation. The question then is whether the LTI is correctly targeted. As Ms Tobias indicated tax incentives are not meant to be permanent and there are sunset clauses. Here there is a five year sunset clause and the LTI is reviewed from time to time. A review has been done, looking at the literature, with an online survey on both the LTI and ETI, submissions from various stakeholders and available data from SARS. Mr Morden said the uptake of the LTI by sector, is largely reflective of the sectors in the economy as per their GDP contributions. The sector which has the largest take up is the financial sector, closely followed by manufacturing and the trade sector, which covers wholesale, retail and accommodation. The other sectors by definition are smaller in the economy and one would expect their uptake to be smaller. Over the last five years about 700 financial sector firms have taken up the LTI. The total claims amount to R2.9 billion, with the wholesale and manufacturing sectors accounting for about 35% of those claims. Mr Morden said estimates had to be made about the number of learnerships, because the data was not with Treasury. The number of firms which have registered learnerships and the number of firms which have completed learnerships was divide by the normal deduction of a learnership which is R30000. There has been an increase in the number of registered learnerships from 8500 in 2009 to 116000 in 2012. Then there is a drop, but this was largely the result of incomplete data. The tax expenditure data is gotten with a very long lag, because companies submit their data and it is being processed. The data would be updated in the next Budget Review, but the drop was largely due to incomplete data, although there may have been a slowdown due to the economy. Mr Morden said there was a positive response to the online survey, with 700 complete forms, with qualitative responses from companies. The objective of the LTI is around training and skills development and Members will note the positive responses on this. There is also an encouragingly positive response to the employment of people with disabilities. The comments have been categorised into three broad categories. First, training and skills where businesses responded that the LTI provides them with the necessary support to increase training. Although, some people have questions about the quality of the learnerships. He noted that the LTI includes both learnerships and apprenticeships and NT is considering including both in the name. Mr Morden said a big concern raised by employers was the Sectoral Education and Training Agencies (SETAs), because these register learnerships and the SETA bureaucracy does not work too well. The question is how to address this bureaucracy which the learnerships are hooked on. Mr Morden on redundancy or deadweight loss, said some companies and professions would train regardless and the question is whether these could be cut down, but this would be difficult. This has triggered the idea of targeting the LTI better. A discussion was had with the Department of Higher Education and Training (DHET) which are responsible for the SETAs. The DHET strategy emphasises the importance of technical skills development and training of artisans. So NT thinks there may be a case for focussing on training artisans or people between to NQF levels 1 and 6. Mr Morden said the reason these amendments were being brought in the second batch, was that the research was only completed in September 2016. In the Learnership Review four main recommendations are made. First, to extend the learnership for another five years, tweaking the date to make it coincide with the fiscal year at the end of March, rather than October. The second recommendation was around the SETAs and trying to get other organisations involved to provide that accreditation. This was a bit more complicated to do, because of the need to consult with the DHET. Due to the complications the recommendation has not been pursued further. The third recommendation was the targeting to focus more on technical skills, which NT was pursuing. Lastly, the question of data, because companies used to fill out a form but due to the administrative burden this was not made compulsory and NT is considering making it so. This recommendation was not being pursued, as engagement with SARS was ongoing. So out of the four recommendations, two proposals are included: extending the LTI to 31 March 2022 and to try to change the quantum of the benefit, focussing it more on the technical skills level. Currently, there is a R30000 deduction for all levels and it is proposed to increase the deduction for NQF levels 1 to 6 to R40000, while decreasing it to R20000 for beyond that. Mr Buthelezi said it would be interesting to know what the financial sector trains these people in, are they not training paper pushers. In the private sector there is, especially around these incentives, what he had termed ‘train and dump syndrome’. What happens to the people’s employability afterwards and what percentage of the people are retained by the firms? It always troubled him that there are all these programmes where government is trying to intervene as different Departments, but the Achilles heel is often that different Departments and programmes operate in silos, losing the economies of scale. So could some form of coordinating these programmes be begun, because it is one government and one executive. While people are very turf conscious on these matters, Members want to see impact. Dr Khoza said unless we begin to sort out the SETAs what NT is complaining about should probably be directed towards the SETAs, more than business. Her experience of the SETAs was that they are too paper intensive and there is so much to be done with the portfolio of evidence. The manner in which SETAs approach this is too cumbersome and she had experienced this in her time in the retirement fund industry. It was a nightmare and the sooner this is addressed the better. Members should not forget, it is not the SETAs money, it is the employee’s and employers’ money. The Committee needs to find a way, perhaps engaging with the SETAs towards making the processes less cumbersome. The same approach spoken about in the survey, if people are going to be given more paperwork then they will not absorb the most learnerships possible. That is becoming a serious barrier and this should be addressed. Ms Tobias said the issue of the SETAs was already being lamented in the Third Parliament, including how they pay themselves high salaries and yet do not implement. This is the Fifth Parliament and ten years down the line, there was the same complaint. She suggested the Committee meet with the Portfolio Committee on Higher Education, to understand how the SETAs spend money on what the South African National Qualifications Authority used to call training providers. Get the statistics on how many good quality learnership programmes have been created, because Members used to complain that when people are on learnerships they are made to make tea, photocopy and the like. Moving forward we have to look at the measurable. Some people may say that this is not the purview of the Committee or NT, but if money is being invested then this it should be interested in the performance of the SETAs. The Auditor General has said that government needs to move away from financial reporting and move towards performance reporting, so the mandate and key performance indicators for SETAs relating to learnerships should be investigated. How the SETAs have used the funds will determine if more money is required. If this money needs to be taken away from the SETAs and rather give it to corporates which create jobs, that should be done. The Committee needs to move with speed, because it has been years that she had been hearing of the same problems. The Chairperson asked why an extension was being asked for until March 2022. Mr Morden said it is a five year period and coincides with the five year period. Ms Mnguni on what NT terms additionality, specifically with learnerships which would have happened in any case such as the chartered accountants, why did the LTI still extended to these and should the focus not be job types which our current economic environment requires. The proposal brings in more bodies aside from the SETAs, including professional bodies, she would think that the inherent problems which those bodies have would be taken on. Has NT looked at how the inadequacies experienced with the SETAs are not experienced with the new players? Lastly, with the new proposed rates with everything there is a R10000 addition, except for persons with disabilities at NQF levels 7 to 10 which has remained the same, why? Mr Mukumba asked for an understanding of the role which SETAs actually play in administering the learnerships and whether alternatives to fulfil this role have been considered, such as Technical and Vocational Education Training Colleges, administered by DHET. Mr Morden said there was a long list of learnerships which various companies approve of; some of the are questionable. The important thing for NT is the focus on the artisans, which is what it has tried to emphasise with the amendments. This is also in line with the DHET’s priorities. Detail on the type of skills would be best provided by the DHET. Treasury met the DHET which was supportive of the LTI and wanted it extended. The DHET was struggling in its own work with the reform of the SETAs and they could also provide more information there. The importance of the SETAs was that they were at the time the organisation through which all learnerships and apprenticeships must be registered, by law. So it was simple for NT to hook onto that registration process. If a company says it has a learnership, Treasury would ask if they had registered it with the appropriate body and at present the only body were the SETAs. One of the recommendations not being taken up was to extend it to other trade bodies, but that has its own complications and there NT would have to engage DHET to see if that is possible. That would remain in suspension, but would be looked into going forward. On additionality, if the LTI is withdrawn from the learnerships such as for chartered accountants there would be such an outcry that it was unlikely that government would handle it at present. So, the proposal is to drop the value of the incentive given to these categories. This sends the message that these categories would have trained regardless and the skills shortage in the country is around the artisans and apprenticeships. The rates are proposed to be increased for NQF 1 to 6, decrease it for NQF 7 to 10 from R30000 to R2000. For NQF 1 to 6 for people with disabilities, it is increased to R60000 and for NQF 7 to 10, instead of decreasing it has been left unchanged. This was because there is an argument for continuing to encourage the training of people with disabilities. Mr Buthelezi said his questions had not been attended to. Mr Morden said he had noted that the types of skills trained in the finance would be held by Treasury. In the financial sector you get different levels of accountants and these would be the sorts of skills being trained. That information could be gotten from the DHET. On the silo issue, NT has had discussions with DHET, which is the other Department here. The DHET is supportive of what NT is doing and are aware of the concerns raised around the SETAs. The DHET should be invited to the Committee to speak to those concerns. He would not like to venture an answer on the train and dump syndrome, but his understanding was that if a person is qualified the chances of that person getting a job with some experience is quite high. Ms Tobias said when the National Youth Development Agency and Youth Commission suggested the learnerships, the principle was to have what was then termed placement. So they were not expecting that people would go into learnerships would then go back into the pool of the unemployed, rather they should be placed within the organisations that they served the learnerships. Those who are funded to provide learnerships ought to have to take on a certain percentage. This is something which Members will have to measure to see if it has been achieved. The Chairperson said Treasury’s answer surprised him, because if you cannot tell at all what happens post learnership. The glib answer was not consistent with the measured and temperate answers usually received from the NT team. However, if NT does not know what is the point of the LTI? It is a matter which comes up in various Committees, that money is invested, but the result is not really known. He understood it was difficult, but surely there should be some sense. Mr Morden said it was not intended to be a flippant answer, but it is something which NT has tried to look at and will raise it with the DHET. The Chairperson asked for Ms Mnguni and Mr Mukumba to compile Members inputs into qualifications to the Committee’s acceptance of the ETI and LTI. Firstly, he suggested having the DHET and DOL present for the public hearings. Dr Khoza asked whether the LTI was linked to the recognition of prior learning, because there are thousands if not millions of artisans who if they had a certificate would be registered in the municipal database. In the townships where they live they could be rendering their services, but the problem with such people is that they do not have the certification and municipalities cannot register anyone without a certificate. It is important to note that your typical learnership is different from the recognition of prior learning, because these are just to determine if the person has the required competencies to be given the appropriate NQF qualification. Linking these two initiatives to her would be a quick win. Mr Morden said the LTI is linked to the employer employing someone and training them. So if employers allow someone to serve a learnership, costs are incurred, then the LTI allows deduction. If you are an independent person, wanting recognition of prior learning, but are not employed then they would not fall within this regime. What could happen is the person with the prior learning, could only require an additional year of exposure then an employer and the LTI could assist, but not to get their qualification. Ms Tobias said when she was in the ANC Youth League, they recommended that training providers be accredited by the SAQA. However, not many companies took up the opportunity to issue out certifications of prior learning. Perhaps, this issue should be revisited with the DOL and the SETAs, to see how far they are with ensuring many training providers are accredited. She remembered that in the past the training providers were complaining that to get accreditation was a cumbersome process. Dr Khoza’s question was real and need to be interrogated, especially when it comes to smaller towns. The Chairperson said a summary would be provided of the outstanding issues, of which there are many. So this was not a blanket approval. For the public hearings who else should be invited aside from the DHET and DOL. Which SETAs should be invited? Mr Morden said the DHET would be better placed to direct the Committee, because they administer the SETAs. Mr P Mabe (ANC) said when the DHET is engaged perhaps there is a specific unit which deals with SETAs. The Chairperson said he agreed, but he would not like to have the Department without the SETAs. Perhaps if some SETAs are more directly affected they could be called. The Chairperson said the aim here is to clarify exactly what is being sought to be done and to arrive at tentative views. Ms Yanga Mputa, Chief Director: Legal Tax Design National Treasury, said in the 2016 Budget Review noted that there was a proposal a few years back to bring in measures to prevent tax avoidance through the use of trusts. The main aim here was to deal with the transfer of wealth into trusts to avoid estate duty at death and NT wanted to curb this abuse. A typical scheme would be where someone extends an interest free loan to a trust, which then uses this to purchase property. The transfer of assets would normally incur donations tax, but to avoid this the donation is masked as a sale. The lender in the scheme also does not receive income through interest payments. In the Draft Taxation Laws Amendment Bill (TLAB) Treasury proposes provisions which would make the interest free loan attract tax on a deemed amount of interest. This would be included in the lender’s taxable income. The section proposed applying to all loans, including those in existence before 1 March 2017. That was the loophole which was trying to be closed. The Chairperson asked if Mr Mukumba wanted to add anything. Mr Mukumba said he would like Members to note that this amendment deals specifically with the interest and not necessarily with the reduction in what the value of the estate would have been at death. What had been done in this part of the Technical Brief was to provide a basic synopsis of what estate duty and donations tax were; and how trusts work. To deal with the actual reduction of the value of the estate the Davis Tax Committee had proposed an amendment to section 3(3) of the Estate Duty Act. That would in essence deem the donation to be part of the lender’s estate upon death. That in his opinion would target the greater avoidance, more appropriately. Furthermore, the attribution rules had not been dealt with much by Treasury in the amendments and that was also important to these types of schemes. Mr Lees said the Committee was dealing with the TLAB as it was and there had been some amendments taking place because of stakeholder engagement. How far was the Committee from having to process the Bill and how much time did the Committee have to look into other avoidance measures as suggested? The Chairperson said Treasury had responded to all the issues and they indicated their agreement. Was he asking when the Bill was to be voted on. Mr Lees said the issue was being raised now to deal with estate duty avoidance, which was not really what was being dealt with here. He supposed it could be put in as another amendment, but he did not think there was time to deal with that. The Chairperson said no new issues were going to be brought in and to do that would be a problem. What would not be a problem is for the Committee in its Report to raise issues for Treasury to consider. He urged people in the Committee to do this, because it is not for the executive alone to shape the programme. Ms Mputa said her introduction had only been on the policy rationale. After Treasury briefed Parliament, there were public hearings in the Committee on 14 September and on 15 September a meeting was held with taxpayers, where the proposed changes to the Bill were discussed. The proposal in the Draft Taxation Laws Amendment Bill (Second Batch): Revisions and additions for public comment (Second Batch TLAB) was now that the interest foregone would not be subject to donations tax and no longer treated as income. Secondly, the current annual donations tax exemption of R100000 should apply. Dr Khoza asked how the interest rate would be determined on an interest free loan. Ms Mputa said this would be the market rate, as per SARS which has applicable interest rates. That part will be regarded as a donation for donations tax, because one of the criticisms was that the wrong instrument was being used to deal with this avoidance. There was an issue that there is a R100000 donations tax exemption and NT was saying that if this was used here, when it was supposed to be used for casual gifts, then these will not be covered by the exemption. The TLAB did not allow that exemption to apply here. However, Treasury was attacked on that and felt it should stay, because it would not reduce this anti-avoidance measure too much. The third issue, was that Treasury had to exclude certain important trusts which are used for things other than avoidance, being public benefit organisation trusts, special trusts, and trusts which hold the primary residence. So those exclusions have been made. On Mr Mukumba’s document, Treasury has looked at the recommendations of the Davis Tax Committee and this is the first step towards that. The concern was whether to tax the donation during the persons’ life or when they are dead. Treasury decided to tax it during life, based on its calculations and because tax differed is tax never paid. On section 7 attribution rules, taxpayers agreed with Treasury that this does not address exactly what is being targeted here. Section 7 deals with outright donations, settlement or other disposition, but here the person sells the asset to the trust, with an interest free loan. Mr Franz Tomasek, Group Executive: Legislative Research and Development SARS, said the Davis Tax Committee did make the suggestion of using section 3 (3) (d) of the Estate Duty Act, but the difficulty there is a tracking one. An asset could be sold on interest free loan account, but the death will only happen in 15 years’ time. So that particular asset and loan would have to be tracked. However, because the status of the loan can change from year to year, you also have to track the status of the loan. It could be interest free this year, interest free the year after; then on what basis do you determine whether the asset should be attributed back or not? This does it on a year by year basis, so there is no long record keeping issue and the donations tax and estate duty are linked, so the correct instrument is being used to get at the ultimate objective. Mr Mabe said what is done with “blind trusts”, because Treasury had referred to public benefit organisation trusts being excluded. A person or persons may decide that they are establishing a blind trust for a certain purpose. Perhaps to hold shares that they could no longer hold, because of a role which they are playing. How is that handled from a tax point of view? Ms Mputa said the exclusions from this section, exclude trusts which are used for certain purposes. For example, if it is a public benefit organisation, as approved by SARS under section 30, then it will be excluded. If it is a special trust solely for the benefit of minors or people with disabilities, then it will be excluded. A trust holding only a primary residence is also excluded, in line with the same exclusion for capital gains tax. Mr Mabe asked what a vesting trust is. Ms Mputa said this is where the beneficiaries clearly have a vested interest in the trust property and there is no discretion given to the trustees on when to give the assets to the beneficiaries. A vesting trust is where there are clearly vested rights to the income of the trust and the trust is merely a flow through. Those are excluded, because Treasury wanted to assist trading trusts. Ms Tobias said there are people who have been participating in companies, who given their new roles in society they have become shareholders, but the shares which they own have been put into blind trusts. So there is no accumulative effort on their part. Mr Mabe is trying understand how this is going to affect these people. Mr Morden said he did not think legally there was such a thing as a blind trust. Mr Mabe said this debate could be had for the whole day on whether blind trusts have legal status. The fact that South African law allows you to register a blind trust means it has legal status. Ms Tobias said the terminology blind is used, but it means something else. It is a trust and there is no such concept. Some of these individuals are doing this to avoid tax. She has previously raised an element of ignorance in society, that it is taken for granted that everyone understands the tax system. Mr Tomasek said the problem in this space is that people use terminology very loosely. So what is a blind trust and it would depend on how you got the assets into the trust in the first place. Were they donated, was the administration of the assets simply transferred or was there an interest free loan? One option would be that someone donated all of their business holdings, in which case they probably have a donations tax problem. There is no easy answer to this, the particular arrangement would have to be considered and the results worked through. There is an important point of principle here, which is would it make sense to allow a person who has set up such an arrangement to step outside of estate duty. If the answer is no, then that should be followed through logically. Presently, the answer is no and you should not be able to avoid estate duty by simply setting up a blind trust, whatever that is. Mr Mabe said he was not asking for himself, but the people of South Africa, because he had been an entrepreneur and there were many people who were using these blind trusts loosely. The more the questions are asked, the more we are enriched. He did not think that people did this to avoid tax, they do this to be seen as ethical beings in society. They are trying to follow the confines of good governance and integrity. He felt the answer was correct and people must understand the implications of the choices made. Ms Tobias said it must be remembered that there were intermediaries who assisted people in setting up trusts. Perhaps not the owners, but those intermediaries had the intention to avoid estate duty. She wanted Members to say that all people who have put their assets in trust to avoid estate duty should come forward under a special dispensation. It should not be taken for granted that this has been done with the intention to avoid estate duty. Everyone has the responsibility to pay their taxes and Members have agreed to the principle that it must prevent base erosion, tax avoidance and so forth. This must be done in the spirit of people being explained to and understand. She had even at one point suggested having campaigns to explain. Ms Mputa said this is an anti-avoidance provision and does not look to the naming of the trust or how it was formed, but the transferring of the assets. In doing that, cognisance is taken of the potential reasons why such a transfer took place and excluded those trusts. Treasury would be willing to listen to issue which arose going forward. The Chairperson said although this was a workshop, the Committee should signal where possible. What was the Committee saying to the proposals from Treasury, having heard the stakeholders in the public hearings? Mr Buthelezi said he felt the principle was clear, that people should not come up with schemes to rob SARS. The Chairperson asked if there were any specific concerns? Alerting the public to some of the implications is something that should be put into the Committee’s Report, which it should require Treasury to do. Mr Mabe said perhaps the definition of vesting trust should be widened, to try and address what has been raised. In his understanding, some of those things fall within a vesting trust. Ms Mputa said the vesting trust is a common law principle, but something could be put in an interpretation note. The Chairperson asked if this could be done. Mr Tomasek said it could, but perhaps it would make more sense in the context to put an expansion into the explanatory memorandum. Ms Mputa said in the TLAB and Budget proposals were made to deal with the circumvention of rules dealing with employee share incentive schemes. The proposal in the initial draft was targeted at where a person is employed, given shared and the shares are restricted from vesting. Even though the employees do not have vested rights they are given dividends. The point of the scheme is that the value of the shares are stripped by the time they vest, this avoids the capital gain. The clause the TLAB provided that any amount received by the employee before the shares vest will be regarded as remuneration and subject to tax at a rate of up to 41% instead of dividend tax at 15%. The employer will be allowed to deduct the historic cost incurred in acquiring the share, but not the amount of the dividend. Public submissions stated that as the dividend is being treated as remuneration for the employee, it should be treated the same for the employer and be deductible. There were also comments that the proposals would hurt BEE share schemes and other legitimate schemes. Ms Mputa said the public comments were received on 14 September 2016 and a meeting was held on 15 September 2016. After that Treasury proposed withdrawing the initial proposal of treating everything as remuneration and focus on the schemes where the value of the shares are stripped. In that scenario the dividend will be treated as remuneration. Ms Tobias said this thing of dealing with schemes, dealing with employees shares, has it been tested? Especially, as there are situations where companies say they are complying with BEE policies, but they have just window dressed. The Department of Trade and Industry has information on such organisations. Ms Mputa said currently the Income Tax Act has section 8B, which deals with broad based economic empowerment; while section 8C deals with employee share incentive schemes. These tend to be targeted at manager or senior manager level. So with the proposals, Treasury is not trying to affect the BBEE schemes. Submissions argued that the proposals could affect these and other legitimate schemes, which is why Treasury decided it needed to study the effect more. The anti-avoidance measure will be the only aspect taken forward. Ms Tobias said she did not want Treasury to drop it solely based on submissions, because they must be sure they were not being taken for a ride. Ms Mputa said this was a technical correction, because when the new Companies Act came into effect in 2011 Treasury did not extend the Small Business Incentive Regime to personal liabilities companies. This should have happened in 2011 and Treasury has proposed changing it this year. During the public hearings, submissions argued that the effective date should be 2011 and Treasury agreed with this, as it was for the benefit of the taxpayer. This is retrospective, but as it was not changed in 2011 taxpayers technically could not qualify for the small business regime. Ms Tobias said so there are going to be refunds? Ms Mputa said perhaps there may be refunds which must be paid, because personal liability companies which ought to have qualified as small businesses, should have been subject to the small business corporate tax regime. Some taxpayers have stated they have not filed returns and there may be refunds. Ms Tobias said she was asking this, because it must not be cumbersome for government to determine what the taxpayers are owed. This could end up in litigation and has SARS budgeted for this? It is possible that the refunds themselves or the litigation may be beyond what was expected. Ms Mnguni said there was an issue of prescription and how would this be dealt with? Mr Tomasek said the feedback SARS had was that pretty much everyone was operating on the assumption that they qualified. So they submitted their returns on this basis and most of them were assessed on that basis. It had only been in the last year had it been carefully read, to determine that technically taxpayers do not qualify. So SARS should in fact reopen the assessments and charge more tax. The idea behind the retrospective amendment was to preserve the situation that everyone incorrectly perceived it would be, for the past few years. So there are no refunds and no additional assessments being raised either. The question of prescription came in, because one of the initial proposals was to make the effective date 2013, on the basis that that would have gone before then would have prescribed. The point was made that if it is a company, then they have a one year filing period. So the amendment would have to go back to 2012 and then it may as well go back to 2011. The Chairperson said if he was reading the mood correctly, broadly the Committee agreed with Treasury on the three proposals outlined so far. Ms Mputa said question were raised when Treasury was drafting the Response Document presented on 21 September 2016. In 2015 changes were made to the Income Tax Act to make relief for the outright transfer of beneficial ownership of collateral in the form of shares. What Treasury did was to allow transfer of shares, if they are returned within 12 months, without capital gains or security transfer tax. The taxpayers welcomed this, but argued that with security arrangements the time periods are longer, unlike security lending arrangements, and under the requirements of Basel III they are required to have liquidity. Treasury is proposing to extend the 12 months to 24 months, to accommodate the financial services industry for the Basel requirements. Treasury further had required that the same share be returned, but taxpayers argued that there may be instances where the very share cannot be returned, due to corporate action, as happened with African Bank. So Treasury accepted this and would allow a caveat that if it is due to corporate action outside the control of the taxpayer then a similar share could be returned. Public submission also argued that these provisions ought to be extended to listed government bonds and Treasury agreed, because listed government bonds are secured like shares. Further, it was argued that the treatment of listed government bonds should be extended for securities lending arrangements. The Chairperson said it helps if Mr Lees could indicate whether the DA agreed, although he understood that he would have to go to his caucus first. In the interest of managing time, did Mr Lees have any issues? Mr Lees said he had indicated his agreement when the Chairperson has summarised that the Committee accepted the first three proposals. The Chairperson said Mr Lees and Mr Topham who have experience in the arena sometimes really bring things to bare and it would help the Committee if they were to raise things now. Ms Mputa said there are provisions in the Income Tax Act on how to treat a hybrid debt instrument. As interest payments are deductible, but dividends payments are not. So taxpayers would enter into such arrangements in order to get the advantage of a deductible interest payment. The rules would be triggered where taxpayers enter into subordination agreements. Taxpayers therefore came forward to say that auditors are requesting shareholders to enter into subordination agreements, so they can still remain solvent. Treasury therefore proposed relaxing the rules so that where the arrangement was entered into at the insistence of the auditors, to maintain solvency, this will not trigger the anti-avoidance measures. Ms Mnguni asked what would happen with taxpayers who are not necessarily subject to an audit and under the Companies Act they are only required to be reviewed. Such taxpayers could be in the same situation, but the powers are only being given to registered auditors. If the review was done by someone who is not registered with the Independent Regulatory Board of Auditors (IRBA). Ms Mputa said during the workshops, Treasury had a higher test than this and the public was in favour of this being done by the auditors, because these companies are often audited. The public had urged Treasury to use the Audit Profession Act and NT had agreed. Ms Mnguni said the issue is that not all reviewers are required to be registered with IRBA and only auditors would be so registered. So her point was that if the review was done by a non-registered auditor, that would then not come into play. Mr Tomasek said the reviewer generally reviews to ensure that the financial statements accord with the accounting records and the like, but does not give an audit opinion. So, they would have no interest in problems with going concern or any of the other issues which would lead to an audit qualification. This would be because the company is being reviewed and not audited, so the reviewer would not need to tell a company to subordinate a loan, because it is not within their purview. It is only at the higher standard of an audit that things like going concern become an issue. An auditor would say they will qualify the audit report, on the basis of going concern, unless a subordination is agreed to. This addresses auditors, because it is auditors who would require the subordination. Ms Mnguni said she would go back to the Companies Act, because she was sure there was a provision which required certain companies to be audited and other to be reviewed. She would therefore, confirm that the reviews do not extend to these matters. The Chairman noting no other concerns, said the Committee broadly agrees with this. Mr Lees indicated that he agreed. Ms Mputa said the previous year Treasury had indicated that as the new Insurance Act was coming into effect, a different valuation methodology would be required for both long and short term insurers. The Financial Services Board (FSB) would no longer do the valuation and SAM valuation would be used. During the previous year’s consultation process various insurers made submissions and the Committee instructed Treasury to bring the proposal this year. Treasury had consulted fully with the industry and it has been agreed that the proposals would now address all of the industry’s issues. As this was a new valuation method, Treasury proposed amending the definition of ‘value of liabilities’, so that this is standardised to risk policy and policyholder funds are treated equally. Further, a new definition of ‘adjusted IFRS’ was proposed. At issue was the transitional period being proposed in this regard. In the TLAB Treasury proposed four years, but the industry had argued that this was too short. This led Treasury to propose six years. After the meeting on 1 September 2016, industry still argued this was too short, because it would assist players who have been in the industry, but the new, smaller entrants would not be helped. Treasury therefore agreed to some small changes to the definition of ‘value of liabilities’ and clarifying what is meant by negative liabilities, which equate to assets. Further, there was the proposed section 29A which would exclude the negative liabilities. Further, the 1 September 2016 meeting raised the issue that the provisions did not deal with cell captives. Under the current system the cell captives are taxed in the hands of the owning insurance company. The submissions indicated that the current wording excludes these, causing a loss of revenue. Treasury is addressing these concerns and the wording would be in the final Bill. Mr Morden said to encourage investment into renewable energy, a shorter depreciation period is allowed. Currently, the provision only covers investment in actual renewable energy infrastructure, such as wind turbines. In order for these investments to be maintained there is a lot of surrounding infrastructure and the proposal is to extend the accelerated depreciation to the surrounding infrastructure. Previously, there were some anti-avoidance and ring-fencing, but that was cumbersome and removed. Mr Buthelezi said as the aim is to encourage renewable energy, but has Treasury been following the dialogue between ESKOM and investor in renewable energy, where ESKOM basically indicated it would not be taking their electricity onto the grid anymore. Mr Morden said the Minister of Finance has come out explicitly to state that ESKOM does not make policy. Policy lies with the Department of Energy, which had been very clear that renewable energy initiatives are part of their initiatives. Those agreements need to be honoured. The Chairperson said he had also seen a news report which had indicated that the Minister of Energy had indicated that renewable energy is part of the policy and therefore ESKOM will have to toe the line for now. Mr Morden said mining companies currently get deductions for the construction of amenities, such as housing for their employees. This would be ordinarily deductible, because it is in the production of income. However, lately mining companies have been making investments, not only for their employees, but surrounding communities. Meaning technically they cannot get a deduction for this which creates certain problems for these companies. In order for these investments for the broader community to be encouraged, Treasury proposes allowing a special deduction here. Mr Buthelezi said there is an incentive for the mining houses and there has been concerns about their adherence to the Social and Labour Plan. So have they been taken the ordinary deductions, before even looking at the special deductions, because the feeling is that mining companies have not even come to the table for their own employees. Mr Morden said Treasury has had discussions with the Department of Mineral Resources and the problem was that the Department of Mineral Resources did not have sufficient capacity to monitor the implementation of the Social and Labour Plans. This was currently being improved. There were some mining companies which had come to the party and what is being done here was to create an environment for companies which do comply to receive the benefit. Mr Buthelezi said when dealing with the other incentives, there was an indication of how well these were taken up by the industry. Had Treasury or the Department of Mineral Resources done an evaluation of what percentage of the mining houses have taken up the Social and Labour Plans. Mr Morden said the Department of Mineral Resources would be able to give an indication of which mining houses have complied or not with their Social and Labour Plans. As indicated there have been capacity problems with sending out people to monitor. In this case, the nature of this concession is not an incentive to the same extent as the others. This was just providing relief to companies which were investing in very particular circumstances in infrastructure related to the broader communities. When they invest in infrastructure related to their employees, that is not an incentive it is a normal deduction with respect to the production of income. Mr Lees said Mr Morden is correct that this was not really an incentive and got down to what a deductible expense really was. Was the expenditure required in the production of income or not. He would argue that in the case of a Social and Labour Plan which a company was required to fulfil, then it would be an expense in the production of income, even if not applied to people who are the companies’ employees. He thought that what was being proposed was absolutely correct and is not quite the same as saying if you employ people under the age of 35, then an incentive of R1000 per month would be paid to the company for doing so, to reduce the expense. He really felt that if expenses are going to be imposed onto a business, then it becomes part of the deductible expense. Mr Buthelezi said he agreed that it was not strictly an incentive, but making it tax deductible it does affect what goes to SARS and was a relief of some sort. Mr Tobias said an analysis was made, which found that the reason why problems arose at Marikana was the level of indebtedness of the workers and the failure to provide basic necessities such as housing, by mining companies. An aspect investigate was whether the mining companies were not receiving some form of incentive to do so. As mining companies were receiving some form of incentive the problem of housing should not have arisen. If this needs to be taken back to the Portfolio Committee on Mineral resources, so that it is not simply left here as simply an issue of deductibility, without looking at the principle. Mr Morden said the Department of Mineral Resources would be best placed to answer those questions and that Department was in the process of reviewing the mining charter for example. To look more deeply into this matter, they should be engaged. The Chairperson said most of these matters involve other Committees and this complicates matters, because those Members have not had the benefit of the several engagements with Treasury that the Committee has had. On this matter what was the conclusion of the Committee, would it bring the Department of Mineral Affairs or the relevant Committee in? Members indicated that this would not be done. It must be raised with the leader of government business, that Cabinet needs to come with a single position. The Ministers have no right to come to Parliament and take different positions. Mr Morden said this was an important amendment which had been taken on in the past few years. One thing which NT wanted to avoid was allowing people to invest in their family and friends’ businesses and claiming the deduction. Therefore, NT had inserted the connected party rule, but that this would not be taken immediately on the 12 month basis, because it takes time to raise capital. Therefore, this would be tested at the end of 32 months, to allow the fund manager sufficient time to raise funds from a variety of players and not only a single source. Mr Buthelezi asked if Treasury was saying that it had a concern about people investing in their family companies and so on. Because the end result is the same. What is gotten from a family business and a non-connected parties’ business would be exactly the same including tax and employment opportunities. Mr Morden said it is normal to not be allowed a deduction for an investment into one’s own company, because this is a normal equity injection. Here, because of the dearth of financing available to small business, additional money needs to be harnessed. To do so, some form of support mechanism needs to be provided which has a broader focus on the fact that small businesses find it difficult to access equity finance. Mr Buthelezi said he hear NT’s point, but a major argument is that individuals and businesses are holding onto money, rather than investing it and the economy reaping the multiplied effect. People could invest that money, leading to the abovementioned benefits. He would like to encourage people to invest and create jobs, does it matter who is investing in which company. Mr Lees said Mr Buthelezi raises a good point and does it matter where the money is coming from, although he heard Mr Morden on the deduction for an investment in one’s own company. Mr Tomasek said there are a couple of problems here, one being a deadweight loss, because the idea behind the venture capital regime is to try to tap sources which would otherwise not be available. Small to medium sized businesses have significant difficulties in getting funding. Part of the reason is that it takes a lot of effort to do one’s due diligence and return predictions as someone who wants to invest into a company and therefore you may as well do it for bigger companies, rather than a lot of smaller ones. So the intention with the venture capital regime is to try and offset that cost. There are sufficient investments to make those interrelated person investments and the intention is to give an incentive to unrelated parties. Ms Tobias said when she dealt with the Department of Trade and Industry, to qualify for funding you had to come with unique ideas and that is what Treasury was trying to do with venture capital companies. Incentives by their nature need to encourage uniqueness at their base and it is for that reasons, why it should not incentivise the same investments. Mr Buthelezi said he was more concerned in the outcome of the investment. Mr Mukumba asked whether the real issue with the connected persons’ limitation was that it would be open to abuse if the venture capitalist was too closely related to the investment. Mr Morden said that is why the provision was there, because people could abuse it and otherwise people could get an incentive where they would normally not have received it for investing in their own companies. So there is a rule that there must be at least five investors and it is difficult with that. Mr Morden said Treasury has received a request to deal with situations where farmers make land available to up and coming farmers for commercial purposes. Currently, there was a provision which exempted land donated for land restitution purposes, meaning there would be no donations or capital gains tax, but this did not extend to where this was done for commercial purposes. Treasury therefore proposed extending the relief to the commercial aspects. Ms Mnguni said when she had read Chapter 10 of the National Development Plan (NDP), it indicated that land could be obtained at 50% of the market value and the other 50% would be made up of cash or in kind contributions. Would those fall within the net of donations? Mr Morden said it would and normally proposals are linked to an existing piece of legislation, but here the only link which could be found was the NDP. Ms Mnguni said she was asking, because there was a cash element and that is not really gratuitous if there was 50% cash and would this still be a donation. Ms Mputa said a submission had been received along those lines and Treasury had indicated that this was the beginning of the amendments. Issues around practicalities, cash and falling within the NDP would be looked at going forward. Mr Morden said staff had identified abuse with this provision, where people would smuggle gold, melt it and claim input VAT. The gap was closed previously barring people from claiming input VAT, which significantly assisted. There were however unintended consequences, because second hand jewellery and other legitimately sold goods containing gold were covered. Treasury had to re-define, to target the anti-avoidance mechanism, exactly where it is required. Therefore, input VAT would be allowed for legitimate goods containing gold. Mr Tomasek said he had had a spirited discussion with Mr Peter Faber of South African Institute of Chartered Accountants, where he had indicated that all that was being done was to re-introduce a provision which had been in the VAT Act. Part of the confusion could be from the re-introduction of the same wording, which had been in the VAT Act since 1991. Essentially, because there is a five-year period within which you can claim an input VAT refund. The gap which exists between the VAT Act and the Tax Administration Act is that if the taxpayer puts in their return in for the first time late, the prescription rule does not kick in. Meaning someone who is completely non-compliant would be better than a person who is completely non-compliant. Treasury would therefore make it clear that that is exactly what is being targeted here, which should resolve any concerns about the re-introduction. Mr Tomasek said a submission at the public hearings had pointed out that there had been a six-month period for the submission of this return, which was too short and extended to 12 months. Then in the Draft TALAB there had been a proposal to return to the six-month period. This comment was accepted and the position will revert to 12 months. The Chairperson said that would be agreed with. Mr Tomasek said a number of changes are being made here to assist with the perceived independence of the Tax Ombud, but he would like to note that an institution which rules against SARS 80% of the time could hardly be claimed to be not independent. One of the issues was with the staff of the Office of the Tax Ombud (OTO) being seconded from SARS. That would change to make it clear that the Ombud employs, under the SARS Act. Reference to the SARS Act is necessary, so that they can have the same terms and conditions of service as SARS staff. The Chairperson said he remembered that the Committee was sensitive to the Tax Ombud’s concerns and these had been largely addressed? Mr Tomasek said that was correct and government had sat with the CEO of the OTO to go through the wording, which the OTO was comfortable with. Mr Buthelezi asked what had been SARS’ position when faced with 80% of the Ombuds decisions going against it? Did it comply? Mr Tomasek said he was not involved in that process directly, but Members would notice that at times the Ombud is uncomfortable with the timelines for SARS indicating whether it is going to stick to its decision not being met. SARS was in a process of negotiating a service level agreement with the OTO, which would make the timelines clearer. Further, The OTO would like to know when people do not agree with their recommendations, the taxpayer or SARS. So it was proposed that whoever does not agree with the recommendations indicate this to the Tax Ombud. A point raised was how long does the party have to indicate such disagreement and it was proposed to put a 30 day period requirement. So if SARS did not accept the recommendation it would within 30 days communicate this, with reasons to the OTO. The Chairperson said Mr Buthelezi’s question was of the 80%, what percentage did SARS accept as a norm? Mr Tomasek said his understanding was the vast majority, but he did not have the statistics with him. The Chairperson said give a sense of what the vast majority would be on a scale of 100. Would that be more than two thirds of the 80%? Mr Tomasek said he was speaking from discussions with colleagues and did not have the hard numbers, but he would say more than two thirds. Ms Tobias said it will be interesting to see this 30 day period in practice. She had had a case with the Short Term Insurance Ombud and the process of interactions between the complainant, the Ombud and then the insurance company took over a year. The Chairperson said this amendment was referring to the period after that earlier process had already been completed. It referred to where the recommendation had been made and the parties now had to indicate whether they accepted it within 30 days. Mr Tomasek said the Tax Ombud, as per its website had a 15 or 20 business day turnaround time to respond to a complaint. The Chairperson asked if this was actually in practice. Mr Tomasek said generally yes; to the extent that they cannot because SARS is still working through the case the OTO will get back to the complainant informing them of the delay. Ms Tobias said she was happy to see improvement in the way Ombuds respond to people’s complaints. Mr Buthelezi asked how many cases the OTO dealt with in the previous year. Mr Tomasek said there were about 5000 complaints. Mr Buthelezi asked whether penalties would be charged in a case where there is a delay in SARS responding to a complaint lodged with the Tax Ombud. Mr Tomasek said the OTO generally deals with questions of service and if SARS has imposed a penalty on a taxpayer that is a question of law, to be dealt with through the courts or alternative dispute resolution system. So that would generally not fall within the Tax Ombuds’ mandate; the same as if there was a disagreement about the amount of tax imposed. Mr Lees said if he understood it correctly, if there is no indication of non-acceptance at the end of that period it is deemed to be accepted. Mr Tomasek said the amendment does not go that far, it simply says there is a 30 day period in which SARS and the taxpayer have to indicate whether they accept the recommendation. It does not take the extra step of deeming acceptance. Mr Lees asked whether it should not. Dr Khoza asked what then happens. Mr Tomasek said here the question is what the purpose of the provision and this is to give the Tax Ombud a sense of the ‘acceptability’ of the recommendation, to improve its own process. There could be a valid reason why the parties did not accept it and then the OTO learns from that. It could also be that the OTO does not agree with SARS’ refusal, then it is in a position if it is significant enough to include that in its Annual Report. If SARS does not respond within 30 days that is also something which the OTO can highlight in the Annual Report, which would then become something for the Committee to take up. The Chairperson asked if the Committee was happy with the intended meaning of the provision. He had thought it meant that if neither party replies, then the Tax Ombud has his way. He would like the Committee to give some guidance and there should be some clarity. 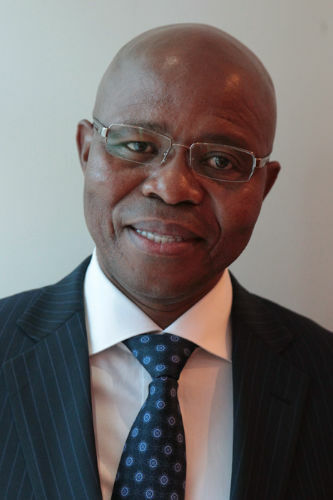 Mr Buthelezi asked for an example of a complaint would go the OTO, because taxpayers’ main problem with SARS is about the amounts of tax being disputed. Mr Tomasek said an example would be a taxpayer submitting a return, being informed they are owed a refund, but SARS is not refunding. Conceptually, one could go to the High Court for an order of mandamus compelling SARS to refund, but that is not cheap and takes time. Alternatively, the taxpayer could take it to the OTO and argue the refund should be paid. Other matters could be bad treatment in the branch office, returns not being processed, the taxpayer having begun the dispute resolution process, but SARS is not responding to the complaint. It is those kinds of procedural issues which the Tax Ombud deals with. Ms Mnguni spoke to the independence of the Tax Ombud, given the mandate of the OTO there is a need to be seen to be independent. There have been a lot of questions around this and she wanted to ask the reason there was not a Tax Ombud Act. Especially with reliance on the SARS Act for conditions of service. Mr Tomasek said that would require creating a new government entity which would have to have its own accounting officer, its own infrastructure; duplicating a great deal. That is why internationally the ombuds function tends to be found associated with another entity. Going back to the research work done at the time the Tax Ombud was proposed, there were two models generally speaking. One where it is associated with the tax authority, as in the United Kingdom and Canada. Alternatively, it is associated with the equivalent of the Public Protector. So one certainly could have a Tax Ombud Act and have a separate government entity, but there are downsides to that in duplication. Looking at the Joint Committee on Finance’s response to the Katz Commission’s recommendation that there be such a thing as a tax ombud, it indicated that this should not be done as it would lead to a proliferation of such models. Government has moved away from that position and our system is similar to the Canadian. The UK’s model is a contractual relationship and there is a service level agreement between the Tax Adjudicator and Her Majesty’s Revenue Collector (HMRC). In the discussion with the Tax Adjudicator, the advantage of that model was that when the HMRC began to be more responsive, leading to fewer complaints and the downscaling of the Tax Adjudicator, the staff could simply be moved back into the tax authority. Canada created the Tax Ombud by way of regulation and the United States did it through legislation in its Inland Revenue Code. In the United States the equivalent reports directly to the Commissioner of the Inland Revenue Service. So it could be done, but the knock on effect would have to be considered. The Chairperson asked what the Committee’s tentative view would be on the 30 day matter. Mr Mukumba said he would agree with what Mr Tomasek had said, because the crux of the matter is what it is going to mean at the end of the 30 days. Would the recommendation be invalid? Would the parties be barred from approaching the court? What should the purpose be? As it stood it was for administrative purposes and he did not think it should have any legal beyond this. The Chairperson said the proposal would be agreed with for present, but this was really for guidance only. Mr Tomasek said a couple of things are happening here there used to be a deeming provision regarding private directors and how their provisional tax worked. Due to changes in the Income Tax Act that has essentially become obsolete, because the company was only allowed the deduction when it is paid it over. The flipside of this was that it should only be included when it is paid and this was bringing the alignment. Secondly, because of the differences between retirement annuity, pension and provident funds; and transfers happening between them for the tax benefit. SARS needs to be able to track transfers between the three types of funds and a directives process is proposed. Thirdly, a change which was proposed the previous year, that if a provisional tax estimate is not put in within six months after the end of the year it will be assumed the taxpayer intended a zero estimate. The problem with that is that the filing season opens four months after year end, so there is a mismatch between when the return is supposed to come in and when the nil is supposed to be deemed. That is being refined to make it four months. Lastly, provisional taxpayers are allowed to exclude certain lump sums from their provisional tax payment. This makes sense when these lump sums are subject to their own tax tables, but this went further and allowed other lump sums to be excluded. Leaving taxpayers in the happy position of not having to pay provisional tax on those lump sums or be penalised for not doing so. This was proposed to be put to an end by restricting it to lump sums subject to their own specific tables. These amendments did not get a lot of comment in the public hearings. The Chairperson receiving no comment, said the Committee provisionally accepted this. Mr Tomasek said this is to do with cigarettes and ensuring proper control over cigarette manufacture. Currently there is a provision in the Customs and Excise Act which requires 1000 cigarettes to not weigh more than 2kg, but the tobacco content in 1000 cigarettes is around 800g. The variance between those two figures allowed less scrupulous producers to manufacture extra cigarettes. When SARS would try to reconcile the records the producers would argue the maximum weight is 2kg per 1000. The proposal is to reduce the 2kg to a more realistic number. Initially this was put at 800g, which was the tobacco content. For imported cigarettes that is a problem, because they come packaged so there it was 1.2kg, including the tobacco, filter, paper and carton. For locally manufactured cigarettes it would be 900g per 1000. This was tested with the industry and based on their comment. Mr Tomasek said most tax legislation has a general anti-avoidance rule, so if taxpayers enter into transactions designed to defeat the legislation SARS can pull you back. The Customs and Excise Act has not had one and one is proposed. Mr Buthelezi asked what proportion of cigarettes consumed by South Africa are imported. Mr Morden of final cigarettes, said not a lot. One producer has moved off shore, which used to have a plant here. The bulk of cigarettes are produced locally. Mr Mabe asked whether there are counterfeit cigarettes imported from Zimbabwe. Mr Morden said some are imported illegally. The Chairperson asked what the next topic was. Mr Tomasek said those were the matters which were to be raised and the other slides were there for completeness. The Chairperson asked if there were issues which the Members or researchers had which they would like to bring up. Mr Mukumba asked what the position was with the section 5 amendments to allow the Minister to allow the Minister to announce the effective rates, whether a legal opinion had been received and if so, for this to be shared with the Committee. Ms Mputa said in the TLAB the provision provided that the Minister may announce the rates which would be effective, unless Parliament passes legislation. Public comments indicated that this was incorrect and it should be subject to Parliament passing the legislation. An opinion had been received from the State Law advisors indicating that subject to was correct. Mr Lees said he would really like to receive that opinion if it was written. Ms Mputa said it was sent to Treasury and she would ask the Chairperson to be distributed. The Chairperson said if Treasury felt there was nothing internal and confidential to the executive, it should be distributed. If there was a reason why it could not be distributed an opinion to that effect would be required. The Chairperson said he needed the Committee’s guidance, because this was a major issue in the public domain. There were arguments for and against in the media, but one cannot be sure what is right or wrong. You could hold values and principles, but cannot know about the consequences, unintended or otherwise. He had raised this with Mr Ismail Momoniat, Deputy Director General: Tax and Financial Sector Policy, that as the Minister may do this through regulations, Parliament’s power in this regard is restricted. So could Treasury explain the Minister’s power to do this and to what Parliament’s role is. Mr Morden said this would only go into processing next year, so this was informal. Any amendments to excise or customs duties can be done through regulation, but there is a proviso that Parliament must approve it within 12 months. In this case, things may be a little complex and some small changes may need to be made to the Customs and Excise Act to implement this. In the normal situation where there is an existing provision, then the excise duty rate or environmental levy to be introduced can be effected through regulation, but there must be approval within 12 months. The Chairperson asked what the timelines were, Personally, he felt the Committee ought to have public hearings, because it was too complex an issue and Member should not take decisions which they are not in command of. He felt the majority would support the idea, with the Minister of health being very passionate about the matter. However, there are then other consequences such as for jobs, for investment with powerful global lobbies. He assured the Committee no one from industry had reached out to him and if they had, he would report it to Members. Dr Khoza said the National Health Insurance would start dealing with these matters. The Chairperson said the issue is very complex and he wanted a mandate from the Committee that there should be public hearings and that National Treasury brief the Committee in a less rushed manner. He would like the media to be present, to put it in the public domain. This matter should not be discussed presently and should be in a more traditional venue so the press can pick it up. Further, that National Treasury give the Committee a timeline of when the 12 months would begin to run. Mr Morden said his understanding was that if it was introduced on 1 April 2017, then it would be 12 months from that date, meaning 31 March 2018. That would be the normal process, but there may be a need to make some technical amendments to the Customs and Excise Act, which the Committee would have to process. The Chairperson noted that when Treasury briefs the Committee these issues should be dealt with as well. Why he would like this to be done before 1 March 2017, is because introducing some of the more standard things would work with standard amendments, but this required more time. He would speak with the Minister and they have to think these things through, because Treasury submits them and Parliament has 12 months putting on pressure and an inclination to disagree. So he could if the Committee mandates it, write to the Minister this matter. Mr Buthelezi said he agreed that public hearings were necessary, because this is a matter which Members really need to understand. Secondly, what has been the response of demand for cigarettes, following the introduction of the sin taxes. This argument is that the introduction of the sugar tax would lead to a decrease in demand for sugar. He would like to know about the price elasticity of sugar, because there are some goods which are not responsive to price. The tax may be introduced, jobs are lost and the benefit is not attained. It is important for the Committee to know the experience of other countries with such interventions, because the Minister of Health may be trying to resolve certain problems and create a broader economic problem. The Chairperson said perhaps the Portfolio Committee on Health should be invited to the briefing. Ms Tobias said when the sugar tax was announced, the price of sugar has skyrocketed even before the tax has been implemented. This is something which we may feel would reduce lifestyle diseases like sugar diabetes, but actually looking at who consumes the sugar, it is the poor. It is a matter which the Committee needs to go through thoroughly, so she supported the public hearings and engaging with all interested stakeholders. Dr Khoza said when the Committee is looking at this matter it may not necessarily about just discouraging people from consuming a lot of sugar, but it is also the health implications and cost pressures which come with that. South Africa’s health budget is going to go up tremendously and has to look at some of the cost pressures, even with social security, because people become immobile and it is bad. So when public hearings are held the Committee should make sure there are health experts and everything, as jobs are not the only dynamic. Mr Mabe said he was not far from Dr Khoza’s position, because whether it is sin tax or sugar tax although there are health aspects to consider, there are also socio-economic aspects to be considered. Particularly, in the context of how the economy is performing presently. The Chairperson said Members were now discussing the content of the matters. He was indicating that the value, principle and goal he supported and he suspected the majority of Members would do so as well. The issue is managing a variety of different things and the main reason public hearings were to be held, was because the public must come to Parliament and be heard. He would try as hard as possible to have a joint meeting with the Portfolio Committee on Health sometime, before it rises. When it comes back in the first week of 2017, a public hearing would be targeted for this matter; at which time health experts and the like would be brought in. The Health Committee could also be present at the public hearing. The Chairperson said here the issue was that Recycling and Economic Development Initiative South Africa (REDISA) had gone to court. The Committee has to on one hand not be intimidated by people running to court and proceed, but also has to be careful about what is being done, because Members do not want courts to have to correct what they have done. Some matters the Committee will have to discuss with other Committees and others do not. Thirdly, were there any new developments from Treasury’s side? Ms Mputa said in the last Committee meeting, Treasury indicated that it would request an opinion on whether the environmental levy was a fee or a tax and this has been received from the Senior Counsel. This indicated that it was a tax and should be processed through a Money Bill. The Chairperson asked for a copy of this. Mr Buthelezi asked if it was only the levy aspect which was being challenged in court. Mr Morden said REDISA has questioned the levy, but in the court papers they do not challenge whether it is a tax or a levy. Rather, they challenge the process the Department of Environmental Affairs (DEA) has followed regarding the pricing strategy and whether Treasury was consulted. There is a provision in the National Environmental Management: Waste Act as amended, which Treasury also has a problem with, because it makes specific reference to a Money bill, which is creating a lot of confusion. That is a matter which Treasury will also have to deal with and it has briefed its legal team and has met with DEA. NT would support DEA in its opposition of REDISA. The Chairperson asked for the court papers submitted by REDISA. He asked what had happened since the last briefing to the Committee. Mr Morden said the lead Department is DEA, because REDISA is challenging a lot of the work it has done. NT has met DEA and they are adamant that they are going to oppose REDISA. There was no indication that REDISA had come forward to try to find a resolution. Mr Momoniat had spoken to the Director General of DEA who was adamant that the matter must proceed. The Chairperson said at the moment both Minister Molewa and Minister Gordhan were in agreement that the Bill should go ahead as is. Mr Morden said Treasury cannot speak for the Minister at the official level, the level of Director Generals, this was the position. The Chairperson said he would pursue the matter with the Ministers to find out where they are. Was there anything else which NT wanted to raise which would be of use in processing this aspect of the Rates and Monetary Amounts Bill. Mr Morden said NT has agreed with DEA that the implementation which would have been 1 October 2016 would be postponed to 1 February 2017. The Chairperson asked for comments from Members. He suggested that if the Ministers are on the same page should the Portfolio Committee on Environmental Affairs be brought in or was it too much of a Money Bill issue. Alternatively, other ways of conferring with that Committee could be found. Ms Tobias said first the position of the Ministers should be consulted. As the matter is now sub judice she would withdraw her previous ruling when she was chairing, because there were reasons why she had suggested conferring with the Committee on Environmental Affairs. That was due to the way the matter was handled, including disagreements which were arising. She was concerned how long the court process would delay matters, because legislating on such a matter may lead to the courts requiring the legislation to be halted. So she agreed with the Chairperson’s process, because the Committee must treat carefully. Mr Mabe said drawing from the clarity provided by Treasury, the case before the court has nothing to do with the levy. His understanding was that you could not take something which was not law yet to court and therefore the proposed amendments were not before the courts. He would agree with Ms Tobias that the Chairperson should check with the Ministers and the Committee work towards resolution of this matter. The more there is delay, then unnecessary perceptions may be created. Further, when the content of the levy and what is trying to be achieved there important, because the recycling industry needs to be a regulated space. If there is agreement between the Ministers’ the Committee should push, because the statement was that it has been delayed until February 2017, as if it is not finalised there will be further protraction. Also the National Waste Management Act empowers the Minister to approve more than one waste management plan, meaning the Minister is not compelled to operate only one such plan. So he did not know how the matter could become subject to litigation in that way. So if the Committee can, it should move with speed. If this can contribute to transformation, the other matters will be side debates for stakeholders. Mr Lees said as far as possible this should be pursued, especially if there is agreement with the Ministers. The Chairperson said looking at the programme, the following had to be done. First, voting on the tax Bills was put down for 9 November, but the Committee was not obliged to pass them by 9 November. If public hearings can be had on the ETI and LTI, could these be put after the Mid-Term Budget Proposal Speech (MTBPS), so could a Members mandate him to change the last period. He did not think that the Twin Peaks Bill would be voted on in 2016. On the Davis Tax Committee, this has been long overdue and could Members indicate some focus areas one of which would be base erosion and profit shifting. To let Judge Davis, know what to prepare. Ms Mnguni should prepare a proposal on this to be distributed to Members. For the following day, a venue had been found. The Committee Secretary, said the venue for the morning was E305 and the afternoon venue was G26. The Chairperson said the Committee would receive the National Treasury overview from Ms Antonia Manamela, Committee Researcher, and the overview of SARS. These had been sent to those entities and he would like to raise the matter of a senior official of SARS being accused of irregularities. The DA had raised the matter previously and he felt the Committee needs to give guidance. If there is a name of a certain person and the name is sent to the Minister, there should be a similar process in the Committee. Members should be fair to the Commissioner of SARS and the Chairperson, because no one in the Committee has an interest in preventing people from facing allegations. There is a way to do this and he would check in the Rules of the National Assembly, where an adjournment is asked for the name is brought forward, the Chairperson, the ANC whip and a representative of each of the parties in the Committee speak to whoever is concerned. Leaking in the media cannot be stopped. He had engaged with Mr Maynier, Mr Tom Moyane Commissioner of SARS, and Mr Murray Michell, Head of Financial Intelligence Centre. Mr Maynier had not asked about the merits of the case, he had questioned the process, specifically the responses by Mr Moyane on why he had not pursued the matter before it was exposed in the media. He had indicated that a portion of the reason was that he was not receiving cooperation from the Financial Intelligence Centre (FIC). The questions being asked by Mr Maynier to the FIC was whether it has not cooperated with the Commissioner and if not why? Secondly, whether the report was final or interim? Thirdly, why had the FIC simply referred the matter to SARS and not the police. Mr Michell had indicated to the Chairperson that he had received legal opinion to the effect that he cannot answer any questions. Essentially, he then asked Mr Maynier to write the questions for Mr Michell to give to his lawyers. These would be delivered to Members, the reason they had been held back was that Mr Michell was supposed to deliver his response before the Committee sat on which questions he could answer and why. When he had spoken to Mr Michell he explained that he was processing the answers, which he would give to the Chairperson, but that he was obliged to show these to the Minister, not for permission but as a courtesy. When they were speaking they had not been aware that the Minister was facing charges. So there was an impasse, he would suggest that the questions are given to Members. Secondly, Mr Michell come before the Committee to say what he would answer and what he would not and why. Thirdly, if answers were not given to reasonably sound questions then between the Parliamentary Legal Advisors, the DA lawyers and Mr Michell’s lawyers come to a resolution. He had proposed a closed meeting on that portion to the DA and checked the rules on the matter. The other option he had given was that everything be open and after the meeting the Chairperson, the DA Members and the ANC whip agree on the statement to be issued. Some of the issues had been addressed and some had not, but would be dealt with next week. Mr Maynier had indicated that he did not agree with the closed meeting. The majority could vote for a closed meeting, but that is not advisable. He had therefore asked for Mr Maynier to correspond with the Parliamentary Legal Advisor directly, Mr Maynier’s letter would be sent out, but a reply from Mr Michell could not be secured at present. He would contact the Minister and Mr Michell. In short, he would encourage Members to know the Rules because he would not need to permission of the Speaker to propose that section of the meeting be closed. He would urge Members that given the nature of this issue, how the Commissioner and DA dealt with it previously, this should be done with caution. He would urge the DA to accept the part of the meeting being closed, to have the responses opened up after the lawyers had gone through it. He asked whether any Member had a proposal on a way forward. Dr Khoza asked what the rationale was behind closing that portion of the meeting. The Chairperson said then Mr Michell and Mr Moyane may be able to say more. Mr Lees asked whether the question was to close the meeting the following day and whether Mr Michell had agreed to be present. The Chairperson said Mr Michell had no choice, but he had never refused. Mr Lees said that is not an issue and the questions should be circulated. Mr Buthelezi said he agreed that the meeting should be open. The Chairperson said that would be the position and he would try to get all the legal matters in order.